Fidgeting, a basic human behavioral anomaly and some might hold it to be problematic or annoying but for the people who experience this, this is commonly known to occur when people are anxious or nervous. This is considered to be the body’s biological mechanism to counteract that feeling. Speaking of biology and human behavior, according to numerous scientific facts that have been gathered and the accumulated researches, this has been known to be quite an effective antidote for stress and anxiety. Along with some reasoning which implies its health-oriented benefits. The best and most fun way to contain this cognitive dilemma is fidget spinners. And they can be awfully helpful to reduce the socially awkward aftermath of odd public encounters or behaviors which might be involuntary most of the time. Below are some of the best options that you can get today. FreeLove Russia Z is a top-notch competitor when it comes to spinners. Because of its ergonomic design and premium build quality. It is forged with an Aluminium Alloy to ensure a well-distributed weight with equally significant performance. The R188 Steel bearings perform quite well with high output and low noise, this not only improves the spinning speed but the overall spinning duration of the product as well and can produce a max spinning time of 5 minutes. The 6 Tritium Tracheas are the spoke-like structures protruding from the sides and this gives this spinner a very aggressive look and complements its appearance. Another crucial feature to notice would be the German CNC process, which means that this item was sandblasted to ensure trimmed down and refined corners along with a specific anodization process. Yes, iPhones also go through an anodization process which gives them a seamless and smooth look. 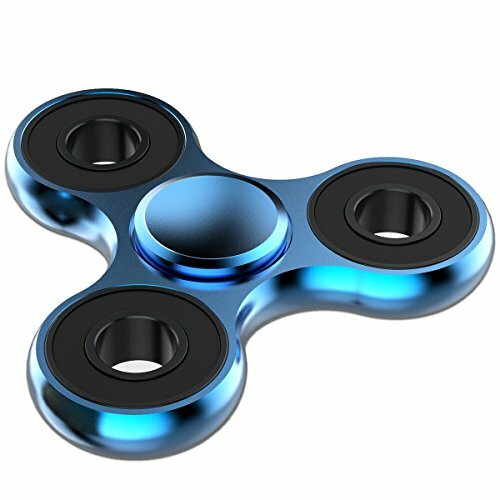 This spinner is no exception and provides the same kind of feel which makes it an easy purchase for most of the adults looking for an aggressive fidget spinner that exhibits classy aesthetics. 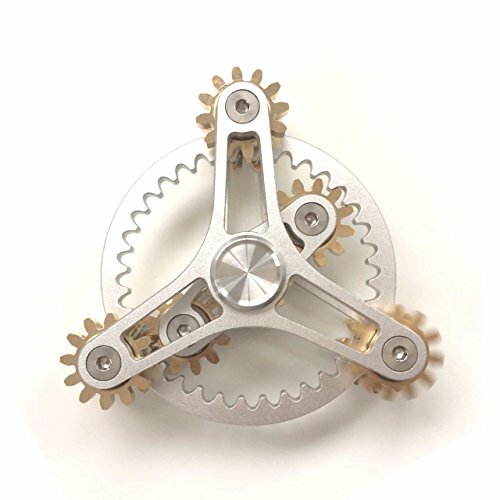 Freelove 9 Series Gear Pure Spinner is like a spinner and clockwork with all the cogs and spinning action that is packed inside. The exterior design features a 6 piece R188 Stainless Steel bearing for smooth and noiseless spinning. It features an aesthetically pleasing build quality from a copper brass alloy which adds a silvery finish with a copper hue. The interesting thing to notice about this spinner is that it comprises of 6 gears including the one in the middle, the gears are locked down among each other to procure more precision for spinning. The two gears situated near the center spin in sync with the outer three spokes. This odd choice of design adds more grip to the product and makes it friendlier for usage up to longer periods of time. The stainless steel bearing along with the body forged from copper declares it to be one of the most reliable and durable spinners that you can get. With that being said, this is the spinner to choose if you’re into innovation. 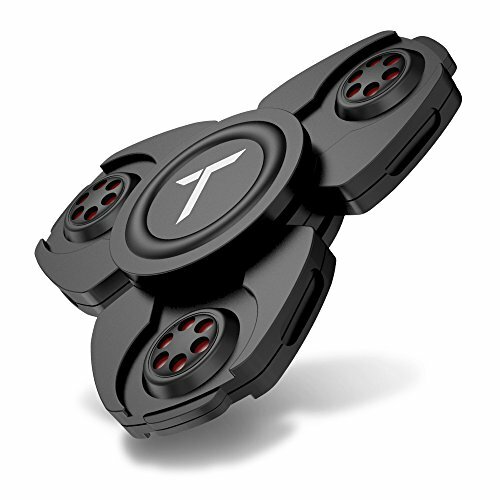 Maxboost Tri-Spinner proves to be a very decent fidgeting solution. This is different from the normal spinners that you would get out there as it comes with a One Year Manufacturer’s Warranty which futureproofs your purchase for the first year so that you never go wrong with it. It features a Steel Ball Bearing which results in a Spinning Duration of 3 minutes max. The overall aluminum build gives it a robust feel while using it and adds to the ergonomic design for better grip. 3 spokes with rounded corners give it a safer and more reliable chassis which makes it easy to use for longer periods of time without straining your fingers or your palm. The size makes it ideal for you to fit in in your palm or your pocket for safe keeping. So if you are on the lookout for a small yet precise spinner then this is the one to go for. 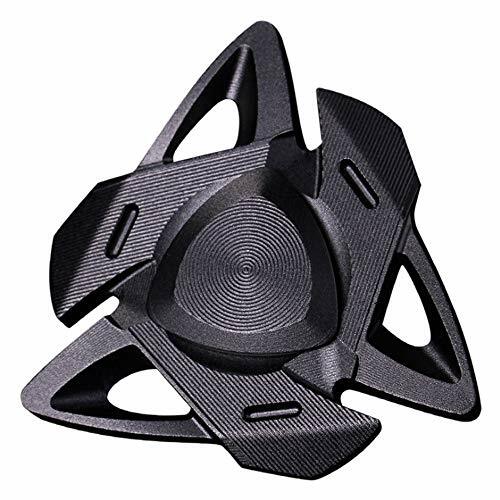 The Trianium Fidget Spinner comes with a metal alloy material body. This not only gives you the perfect feel but also the confidence to hold it out in the open without the fear of any breakage. The metal alloy build paves the way for a more secure exterior along with a firm grip and subtle design. This also features a Steel Ball Bearing at its core which is engulfed in an anti-corrosive pre-lubricated oil for an overall impressive spin time of 4-5 minutes. This lubricating oil is the game changer which allows room for a quieter and more durable spinning experience. It also consists of protection caps at the top and bottom of the spinner to prevent the bearing from falling off and to prevent the lubricative oil from leaking. 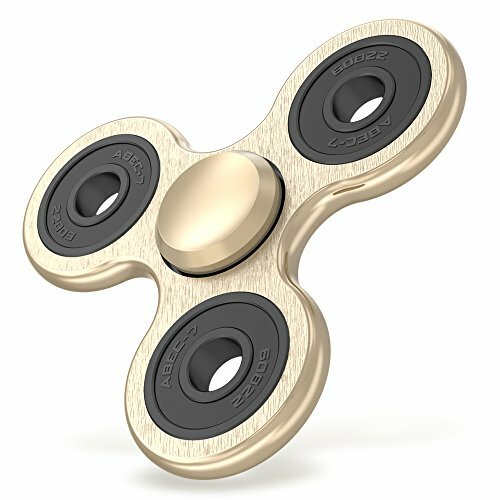 This not only adds to the aesthetics of the spinner but also conceals the bearing and makes the product more appealing to the buyer. The overall layout and impressive output of this spinner can easily make this an easy purchase for anyone. What Atesson offers in this package is quite interesting and might spark the curiosity of a lot of buyers as it is one of the only resellers that offer a 6-month Manufacturer’s Warranty along with a 60-day money back guarantee from Atesson itself. This is pretty much a steal considering the price and the aftersales support that it offers. The outer chassis is aluminum along with a Stainless Steel Bearing at its heart which provides a good spinning time of 2-5 minutes. The aluminum is again anodized through the CNC process to provide a precise finish to the final product and feels incredibly good in the hand. The 3 spoked concept is quite minimal as it is the basic founding design of most spinners. The less the spokes, the better the handling of the spinner along with less mass which sums up to more speed and less friction. The minimalism along with the portability that it has to offer, this easily makes its way among its top five contenders in the list but fails to keep up in the list because of the very basic design, and if you’re not that fancy then this is what you might want to get.